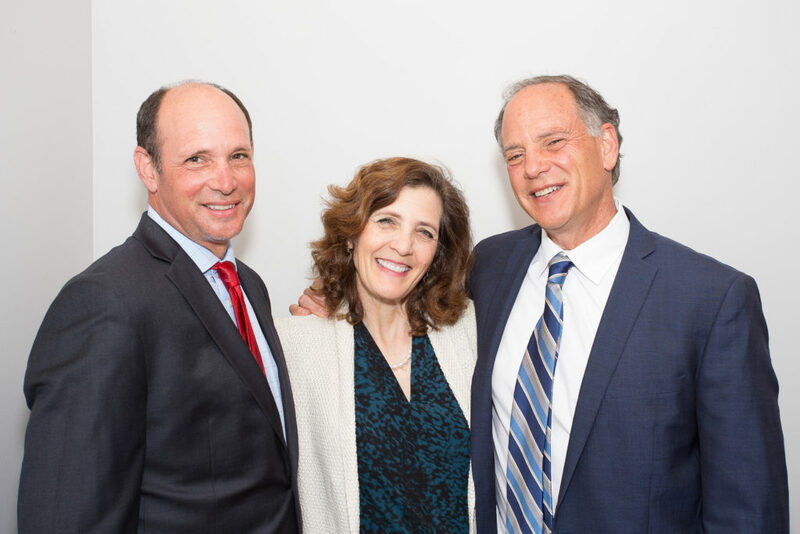 We are three siblings (Alan Lindy, Elaine Lindy and Frank Lindy) who share with our spouses, partners and colleagues a passion for urban education. What especially inspires us is social change projects that grow. Our parents Phil and Annabel Lindy left us that legacy. Life is short! Isn’t it best if a project is designed to grow and ripple outward, impacting more and more people? Quick, because each play element has already been approved by the School District of Philadelphia. Easy, because using our unique points system, schools can select from a Menu of Options the play elements they prefer. 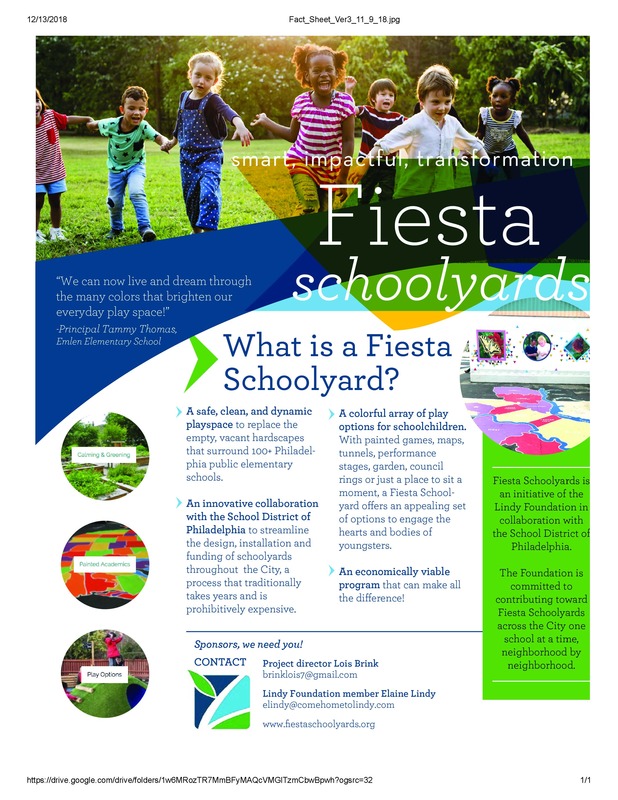 Fun, because a Fiesta Playground offers children a wide selection of play elements — painted games, climbing tunnels, performance stages, council rings, fence decorations, gardening spots – so children of all stripes can find a play element to exercise their bodies, hearts & minds. 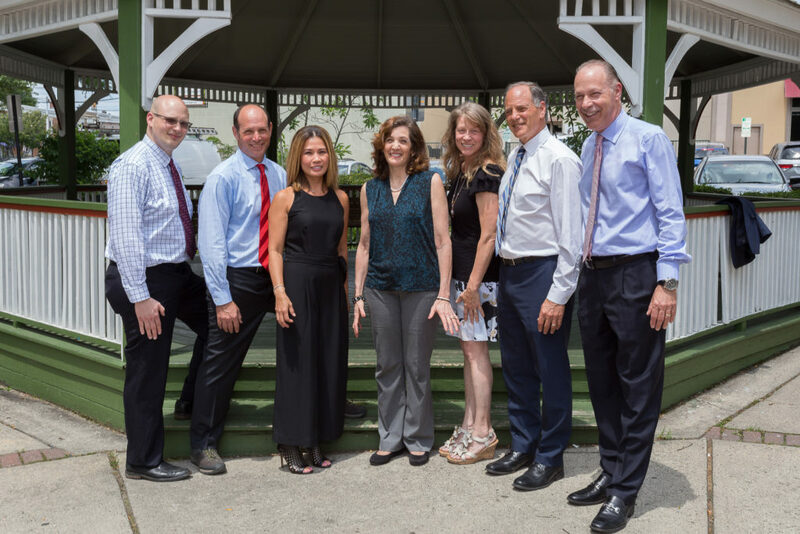 In our “regular lives” and alongside a dedicated staff, we operate Lindy Communities, a 4th-generation real estate business that serves nearly 5000 apartment homes in the Philadelphia area.